This week begins with the festive procession of palms when the entire people welcomes Jesus. Even the children and young people sing, praising Jesus. But this week continues with the mystery of Jesus’s passion, death, and resurrection. 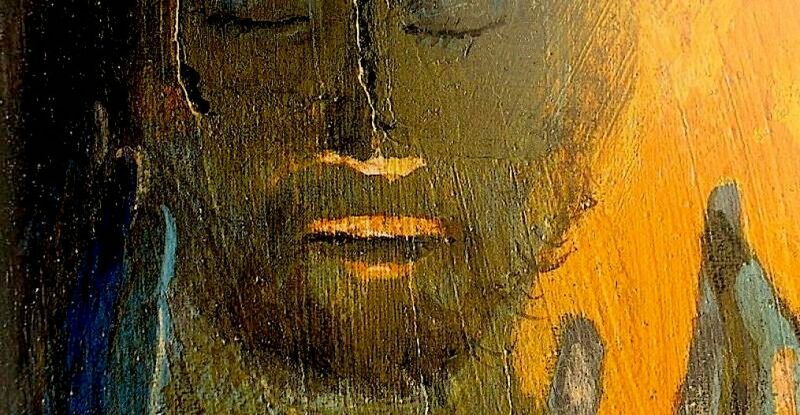 When we listen to the Passion of the Lord, we might ask ourselves just one question: Who am I? Who am I before my Lord? Who am I before Jesus who enters Jerusalem amid the enthusiasm of the crowd? Am I ready to express my joy and praise him? Or do I stand back? Who am I before the suffering Jesus? In the Gospel, we hear many names. We hear about leaders, priests, and teachers of the law who decide to kill Jesus. They were waiting for the chance to arrest him. Am I like one of them? We also hear another name: Judas. We hear about thirty pieces of silver. Am I like Judas? We hear other names, too. We hear about the disciples who understand nothing; who fall asleep while the Lord was suffering. Has my life fallen asleep? Am I like the disciples who do not understand what it means to betray Jesus? Am I like the other disciple who wants to settle everything with a sword? Am I like them? Am I like Judas who feigns love and then kisses the Master in order to betray him and hand him over? Am I a traitor? Am I like those people in power who summon a hasty trial and seek false witnesses? Am I like them? And if I do such things, do I think that I am somehow helping people? Am I like Pilate? When I see that the situation is difficult, do I wash my hands and dodge my responsibilities? Do I just allow others to be condemned? Do I condemn them myself? Am I like the crowd that is not sure whether they were at a religious service, a trial, or a circus? Did I choose Barabbas? For all of them, it was just more entertaining to humiliate Jesus. Am I like the soldiers who strike the Lord, spit on him, and insult him? Do I find it funny to shame him? Am I like Simon of Cyrene, who is returning home from work, tired and weary, but was good enough to help Jesus carry his cross? Am I like those who walk by this crucifixion and mock the Lord: “He was once so courageous! Let him come down from that cross and then we will believe in him!” Am I like those fearless women, among them the Mother of our Lord, who remain with him and suffer in silence? Am I like Joseph of Arimathea, the hidden disciple, who lovingly cares for the Lord’s body and prepares it for burial? Am I like the two Marys who remain at the tomb? Did I pray and weep with them? Am I like those leaders who go to the empty tomb and then say to Pilate: “Look! This man said that he would rise again! We cannot allow this fraud to take place!” Am I like those who block life and block the tomb in order to maintain doctrine so that new life might not come forth? Where is my heart? Which of these persons am I like? May this question remain with us throughout this entire coming week!